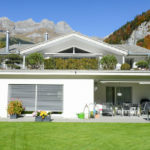 In Switzerland, home owners have to add a theoretical rent to their taxable income. 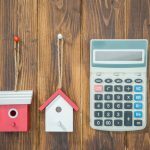 This means home ownership can increase your annual tax bill, sometimes substantially. For many home owners the tax effect of the theoretical or imputed rent is cancelled out by deductions for mortgage interest and home maintenance expenses, however those who have repaid their mortgage or never had one can be forced to pay substantially more tax for the the pleasure of owning their home. A Swiss parliamentary commission wants the government to get rid of imputed rent, something it views as unfair on home owners. The parliamentary economic commission unanimously supports the position of another commission that came to the same conclusion, but it has not yet come up with an alternative. Given the relatively high level of indebtedness in Switzerland compared to the rest of the world, it makes little sense to have a system that encourages home owners to take on large home loans, and the interest payments that come with them, in order to offset the fictional rent they must add to their taxable income. 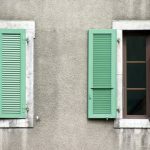 According to the commission, not only would the system benefit from simplification, imputed rent penalises those who have paid back most of their mortgage, which can be particularly difficult when it coincides with retirement. The timing is good for a change. Current low mortgage rates mean any tax revenue lost by the government would be minimal. It is not clear what changes would be made though. The commission rejected, by 17 votes to 7, an initiative by socialist party member Susanne Leutenegger Oberholzer who proposed removing both imputed rent and mortgage interest and home maintenance deductions. Parliament will look at the issue in autumn.